For holiday gifting, food is always a hit, especially sweet treats and even more especially those that can take dietary restrictions into consideration. 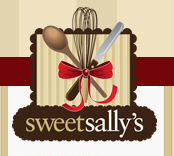 One of the best sources is Sweet Sally’s Bakeshop, an online artisan bakery with some 50 tasty products made from all natural – and often local – ingredients, preservative and trans fat free. Owned and operated by third generation baker Sally Minier, Sweet Sally’s is known for its nostalgia-inducing baked goods and for a specialty in gluten-free goodies, as well as for sugar-free products. New from Sweet Sally’s kitchens for this holiday season, Gluten-free Salted Caramel Macaroons, chewy coconut macaroons topped off with melted caramel and a touch of sea salt and Gluten-Free Lemon Bars. Both as richly flavorful and satisfying as Sweet Sally’s traditional desserts. There are currently 10 other tempting gluten free offerings made from a proprietary blend of garbanzo bean flour, potato starch, tapioca flour, whole grain sweet white sorghum flour and fava bean flour. Sugar-free options can also be available by arrangement with the bakery. One of my favorite products from Sally's Sweets (and one I highly recommend!) is the Fruit Bar Trio! Their most popular fruit bars are available in a beautiful trio. One box of each type: Apricot, Raspberry and Lemon. Three of their most popular fruit bars stacked and tied with a red ribbon. Refreshing, fruity and delicious all at the same time. This makes a great gift for anyone who likes variety or just doesn't like to choose a favorite dessert! They can have all the best in this this Fruit Bar Trio! Buy It: You can purchase the Fruit Bar Trio for $45 from the Sally's Sweets website.